I'm back! Well, sort of anyway... A mega stack of emails at work and being back in London don't fill me with joy right now but the sunshine makes it a little easier. I have over 700 pictures to edit (and quite a few to delete), craft and cooking posts to shoot and write, and of course catch up with work and do mountains of laundry. So, posting will slowly resume and I hope you don't mind. In the meantime, I hope you enjoy these lovely flowers. 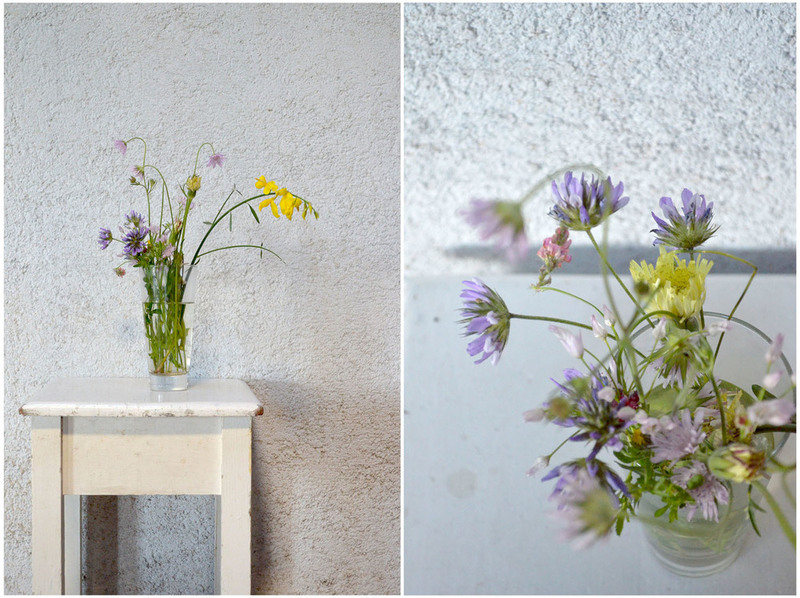 Simple wild flowers picked on the side of the road (not a majorly busy one I may add) in Provence by my niece. Aren't they just beautiful in their simplicity? Why is it that I can't seem to find simple and pretty flowers like these here...?